With support from the Pulitzer Center, Katherine Lewin and I produced this piece for USA Today. See original version. 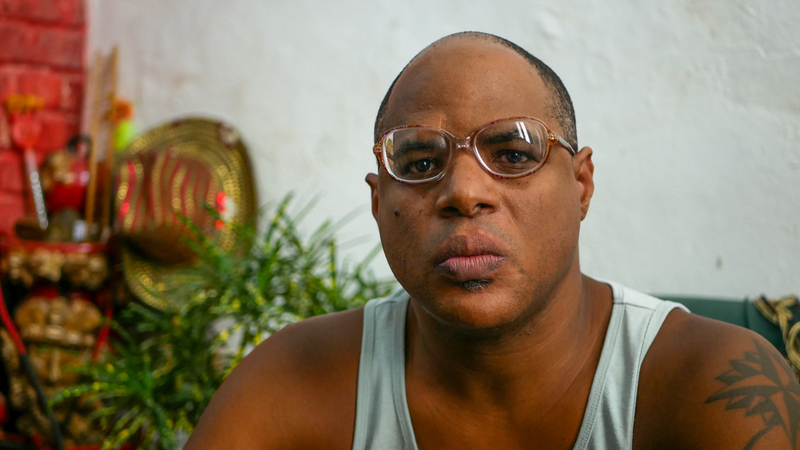 HAVANA – Rafael Álvarez was up at 6:30 a.m. to warm milk for his baby daughter when he heard the sound of pebbles falling. Álvarez, 41, a baker, was buried in rubble to his waist. His mother, daughter and two others were killed when the 101-year-old building collapsed. “Save the babies!” were his mother’s last words, he said. In Havana, some of the same architectural gems that draw tens of thousands of American tourists crash to the ground every year. Causes range from weather and neglect to faulty renovations and theft of structural beams. Carlos Guerrero, 45, said he and his family live “like scared dogs” in a crumbling building along Merced Street. “It makes you feel like going and living under a bridge,” said Guerrero, who vows to grab a machete and seek revenge on housing officials if anything happens to his wife and three children. Some 3,856 partial or total building collapses were reported in Havana from 2000 to 2013, not including 2010 and 2011 when no records were kept. The collapses worsened an already severe housing shortage. Havana alone had a deficit of 206,000 homes in 2016, official figures show. Havana, a city of about 2 million people, had a shortage of 206,000 homes in 2016, official figures show. Photo: Tracey Eaton. 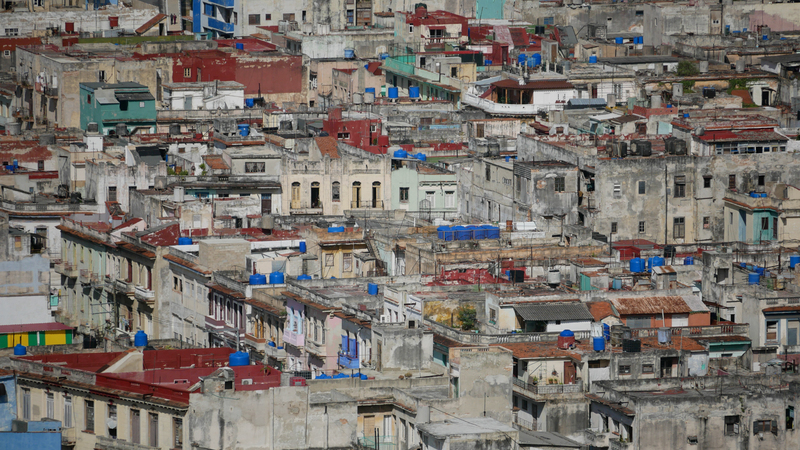 The housing crisis is one of the most pressing challenges facing Cuban President Miguel Díaz-Canel, who vowed to improve housing after taking charge of the communist nation of 11 million people in April. Havana officials have won dozens of international awards for their work to restore the historic sector known as Old Havana, with styles ranging from Baroque and neoclassical to Art Deco. UNESCO calls Old Havana one of Latin America’s “most notable” historic city centers and named it a World Heritage site in 1982. Havana officials use tourism revenue to renovate many architectural treasures, but can’t keep up with the decay. Havana, a city of about 2 million people, had a shortage of 206,000 homes in 2016, official figures show. Officials estimate 28,000 people live in buildings that could collapse at any moment. Some residents refuse to leave structures that authorities have declared unsafe. “Of course we’re scared but what are we going to do?” said Yanelis Flores, 42, who rejected a government offer to move into a shelter. “I will wait for a house,” said Flores from the eighth floor of the former Hotel Astor, which had American management and 200 rooms in the 1930s. Today, daylight shines through terrifying cracks in the walls. The third-floor staircase collapsed in April 2017. Yuslemy Diaz, 32, a manicurist, was on the second floor of the former Hotel Astor when the third-floor staircase collapsed in April 2017. “It was a tremendous explosion – boom!” she recalled. Her business has since dropped off because customers are afraid to enter the building, she said. Photo: Tracey Eaton. Workers brought in a truck-mounted crane to deliver meals to stranded residents. They built a makeshift wooden staircase. Authorities began relocating residents on the 9th and 10th floors. Díaz, 32, a manicurist, is eager to move. Before the stairway failure, residents say, people had been prying valuable marble tiles from the walls, weakening the staircase. Yunier Angulo, 31, a butcher, left the building seconds before the stairway crumbled. A man just behind him was seriously hurt. Her neighbors disagreed and wouldn’t pay a cent when the city offered repairs in exchange for a monthly fee, she said. Fidel Castro promised to demolish “hellish tenements” and build safe, modern housing when he took power in 1959. Today, Magaly Marrero, 65, said her apartment is so bad that she showers in the kitchen and relieves herself in a bucket. Cuban officials don’t release figures on those killed or injured in building collapses. Álvarez, the baker, said before his second-story apartment came down on July 15, 2015, workers on the ground floor had been using a jackhammer to strip the walls to the brick. He said cracks from below began inching toward his apartment. His mother complained, but city inspectors said the workers weren’t to blame. Álvarez said his wife, Lizbett, 41, fell head first into the rubble during the building collapse and was in a coma for 22 days. She recovered, but doesn’t like talking about the episode and won’t walk past 409 Havana Street where her home once stood. Álvarez fractured his spine in three places, but dismissed his injuries and praised the victims. He said his mother, Mayra Páez, 60, shouted “Save the babies!” until her voice grew silent. Rescuers told him she suffocated. She was a former nurse, “much loved in the neighborhood,” her son said. His nephew, Jorge Álvarez, 18, wanted to be a welder. “He was my life,” his uncle said. The teenager’s girlfriend, Glendys Kindelán, had just turned 18. 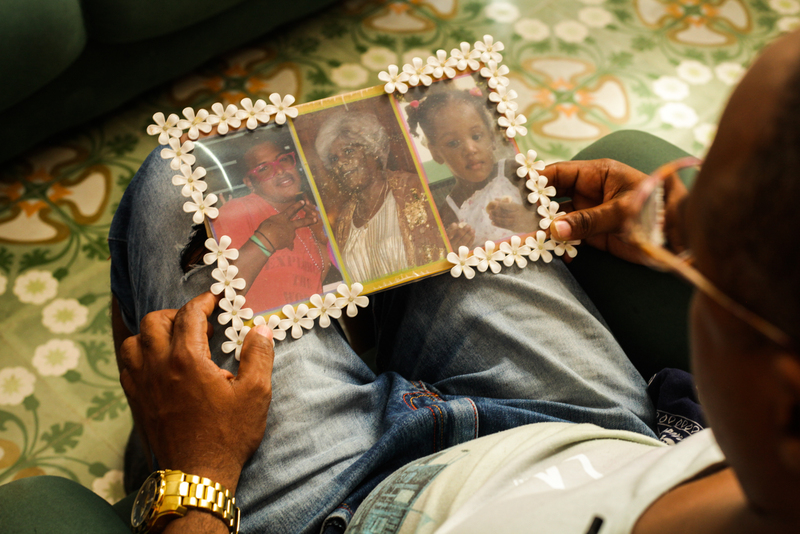 Her mother, Yaima Kindelán, said she frantically searched for her daughter at hospitals before finding her body, wrapped in gauze at a funeral home. “I couldn’t see her face,” she said. 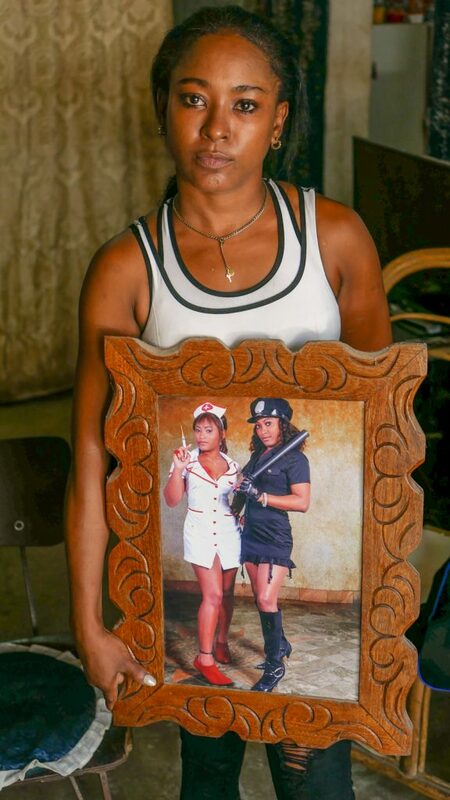 She said her daughter was “a very respectful girl, a student” who dressed as a nurse for a photo shoot on her 15th birthday. Her mom joined her as a police officer. The teen had two dogs, Yonky and Princesa, who rarely left her side. “Having those little animals that she loved so much, she wanted to become a veterinarian,” Kindelán said. After the accident, authorities investigated an architect and four others who had planned to open a fast-food restaurant at the site. This summer, authorities told Álvarez they didn’t have enough evidence to prosecute anyone.